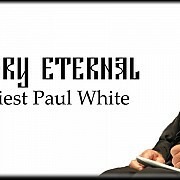 On Friday, January 30, the Divine Liturgy for the newly-departed Archpriest Paul White was served in St. Nicholas Church in Wilkes Barre, Pennsylvania. 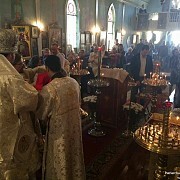 On Sunday, January 25, the Sunday after Theophany, the Administrator of the Patriarchal Parishes in the USA, His Grace Bishop John of Naro-Fominsk celebrated the Divine Liturgy in St. Nicholas Cathedral in San Francisco, CA. 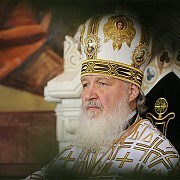 On Sunday, January 25, Archpriest Paul White, Rector of St. Nicholas Church in Wilkes Barre, Pennsylvania reposed in the Lord. 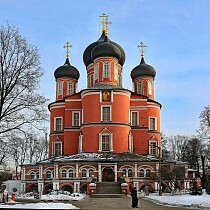 On Saturday, January 24, His Grace Bishop John of Naro-Fominsk, Administrator of the Patriarchal Parishes in the USA participated in the Divine Liturgy and Episcopal Consecration of Archimandrite Daniel (Brum) of the Orthodox Church in America. 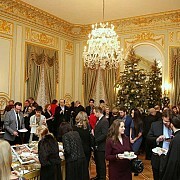 On Friday, January 16, an official Nativity Reception was held in the Consulate of the Russian Federation in New York City, on beahlf of Consul General Igor Leonidovich Golubovsky and the Administrator of the Patriarchal Parishes in the USA, His Grace Bishop John of Naro-Fominsk. 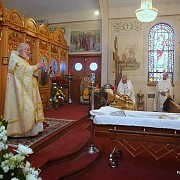 On the Sunday after the Nativity, His Grace Bishop John of Naro-Fominsk, Administrator of the Patriarchal Parishes in the USA presided over the Divine Liturgy in St. Gregory Church in Tampa, Florida. 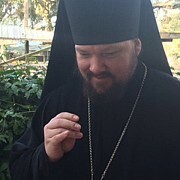 On Sunday, January 11, the Administrator of the Patriarchal Parishes in the USA, His Grace Bishop John of Naro-Fominsk was a guest at the Nativity Reception in the "Russian House" in St. Petersburg, Florida. 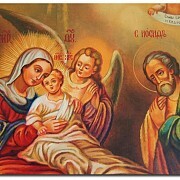 On January 6-7, the clergy and faithful of the Patriarchal Parishes in the USA prayerfully commemorated the Nativity of our Lord and Savior Jesus Christ.